Moreover, in Austria there are golf courses in the vicinity of many of the ski resorts, presenting the opportunity to use the property not only in the winter season. Apartments may be bought in Austria both in new projects and also older apartments. Rellox also offers detached houses and exclusive villas in ski resorts. The prices of such luxury properties is still lower than in Switzerland, France or Italy, for instance, and start at around EUR 1,000,000. With new projects in Austria we can offer investors attractive investment opportunities with yields from rental of up to approximately 8% per year! Thanks to their perfect skiing conditions, the Savoy Alps in France are also interesting – apartment prices start at around EUR 130,000 in smaller resorts. Prices in more renowned areas, such as Val d´Isere, Tignes, Les Arcs or Meribel are, of course, higher. Many new projects in the Savoy Alps enjoy a state-guaranteed system of property rental which brings yields in the area of 5% without great worries giving you the opportunity of partial use too. A third popular destination is the Dolimites in northern Italy with the mountain resorts of Val di Fassa, Val di Fiemme, Val Gardena, Madonna di Campiglio, Kronplatz etc. 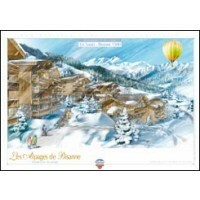 Prices of cheap ski apartments start in the region of EUR 150,000. 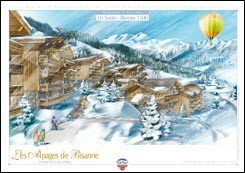 Prices of houses and chalets may reach 20 million Euros. For each destination we have prepared specialised websites focusing on concrete destinations: Property Austria, Property France, Property Italy.